Despite efforts to mitigate their occurrence, medical errors by doctors, nurses and other healthcare providers result in a significant number of injuries and deaths every year. It’s important to note that not every treatment which results in the degradation of the patient's condition(s) or in failure to restore health constitutes medical error or malpractice. Instead, malpractice occurs when there is professional negligence by healthcare providers or facilities. Professional negligence by act or omission by a health care provider occurs when the treatment provided falls below the accepted standard of practice in the medical community and causes injury or death to the patient. In order to determine whether there was malpractice, the key issue is whether physicians and caretakers followed accepted standards of care. What are standards of care? Though medical care is highly complex, there are a finite number of issues that afflict people with any regularity. Because of this, standards have emerged that the medical community has agreed should be followed in almost any given medical situation. Was an investigation conducted and did the doctor take steps that he or she would have been reasonably expected to take? Was treatment provided in a timely manner? Was the patient informed of risks? This is known as informed consent. Did the healthcare facility provide a healthcare professional who was qualified to provide to the care that was needed? What Other Issues Can Arise Regarding Standards of Care? Standards of care involve agreed-upon rules, but medical professionals can nonetheless disagree on what action should have been taken in relation to specific situations. Questions regarding the medical issue itself may affect standards of care, as well as the location of the facility in which the care was provided and the resources at the facility’s disposal. For instance, a small, rural clinic may operate on a different standard of care than a well-funded urban or university hospital. 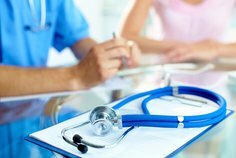 Most medical malpractice cases, therefore, rely on medical expert testimony for proof that malpractice occurred and that a deviation from standards of care was made. Only other physicians are qualified to testify regarding the competence of a doctor who may have committed medical malpractice, and only specific physicians are able to testify knowledgeably regarding the limitations and capabilities of a specific health care facility. If you suspect that you’ve suffered injury at the hands of a doctor who didn’t follow the standard of care, contact a medical malpractice attorney who can provide effective counsel regarding the building and management of your case.